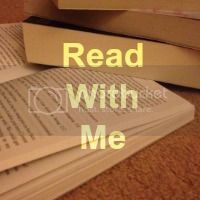 Another week gone by, but that can only mean that another Read With Me linky is open. I've found myself reading a right old mixture of books recently, between books that I've chosen myself to books that I've been very kindly sent to review, sometimes I wish that I could just sit and read all day, trouble is that thing called life just gets in the way sometimes. Thank you to everyone that linked up last week, it was so nice seeing such a mixture of posts. The lovely Kiran from Mummy Says highlighted something very important in her post, the fact that still in this day and age there still aren't a lot of brown skin characters mentioned/shown in childrens books, I agree 100% that now is definitely the time to change this!!! And Tanya from Muma Leary links up for the first time with not one but two book recommendations, an adult book for us parents to enjoy and a childrens books for our kids to read and have fun with. Now for the fun part, the link up. If you are new to #ReadWithMe then please do check out what it is all about right here. Everyone else, you know what to do. Link up all of those lovely book posts, old and new, all are welcome. Please comment on atleast two other posts and share the book love and I of course would be forever grateful if you would be so kind as to display my badge. And as always happy reading. I love this linky - it gives me ideas for reading, and also challenges me to finish my book and write a review in time to link up! Thanks for hosting! I'm trying to find more time to read for myself at the moment, it's never easy though!